We don't normally associate corporate office buildings with artistic inspiration. The Berber carpet, fluorescent lighting and rolling chairs do not a pleasing aesthetic experience make. But this rotating series of pop up exhibitions, transforming a vacant Jersey office building into a fully functional gallery, makes us want to revoke every bad thing we've ever said about the cubicle. The Gateway Project was founded in April 2013 as a collaboration between Rebecca Jampol of Solo(s) Project House, an art gallery and studio spaces in Newark, and Jasmine Wahi of Project for Empty Space, an organization that utilizes vacant or unusual places for various projects. 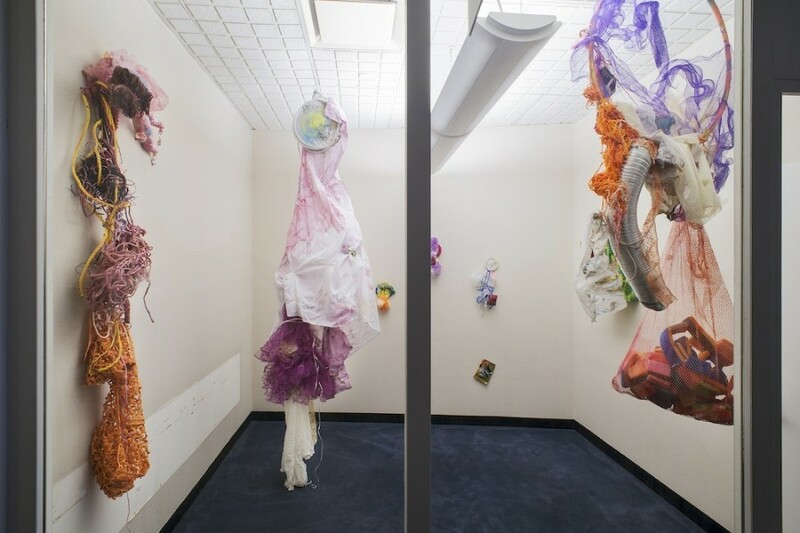 Together, Jampol and Wahi curate inventive and inclusive exhibitions in The Gateway Center, a space connected to Newark's Pennsylvania Station, drawing local and international artists to the unorthodox artistic site. "The space was gifted to Rebecca just over a year ago by the owners, C&K Properties," Wahi explained to The Huffington Post. "They had this space that had been vacant for a couple of years, a former architecture firm. They wanted to activate it with something productive for the community." That productive something turned out to be a rotating buffet of contemporary art, a radically different aesthetic experience from that other artistic hot spot across the Hudson River. "I think that Newark in particular is such an uncorrupted or authentic community of artists who are really making work that is not tainted by what the market is demanding," Wahi expressed. "You have such a diverse spread of artists from multiple generations representing so many different subgroups of people. There's this incredible spread of materiality, conceptuality, more so than you'd find in other art cities. It has a very fresh perspective." Indeed, wandering The Gateway Center feels more like entering an adult playpen than a Chelsea Gallery. The current exhibition, titled "Through the Looking Glass," takes up the themes of Lewis Carroll's iconic tale, exploring ideas of parallel identity, mirrored images and projected fantasies. The 32 artists and collectives represented craft a dizzying portal into a perverse and fantastical other dimension. "This year we decided we wanted to keep the theme loosely tied to fantasy stories or literary ideas," Wahi said of this year's theme. "We're trying to stick with themes a wide array of people would be familiar with, since our demographic is so wide it's basically nonexistent. We try to extrapolate things that relate to larger social issues or issues that are pertinent to the community and interweave them into the story." The exhibited artworks range wildly in medium, message and tone, each as singular and strange as a newly encountered creature in Wonderland. 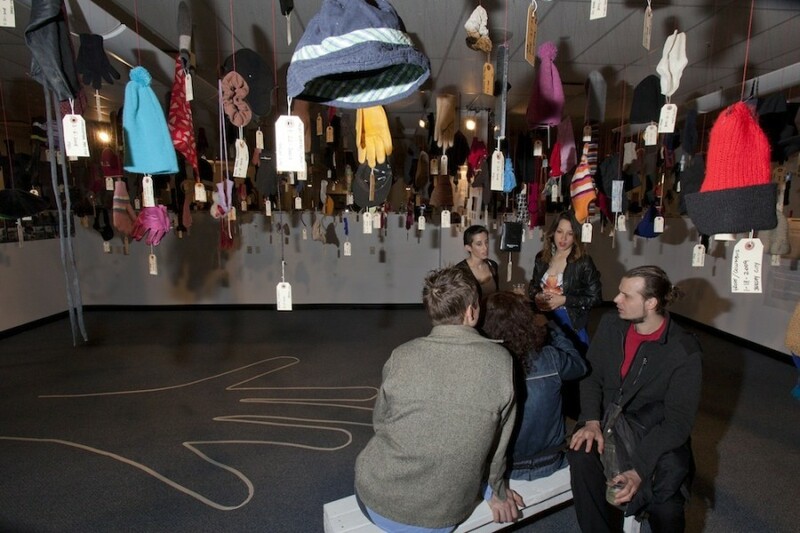 Laura Quattrocchi's "The Lost Collection" installation consists of found, inconsequential objects dropped by pedestrians around New York City -- gloves, hats, the occasional sock. Quattrocchi documents where and when she found each item, transforming a piece of garbage into a mysterious memento, a precious symbol of something, though we're not sure what. Then there are Aimee Hertog's site specific installations which resemble alien jellyfish that, tangled up with sunken debris, mutated into oddly delicate floating beasts. The untitled sculptures harness the chaos of the contemporary age, specifically rebuking the mythology of feminized domestic bliss. 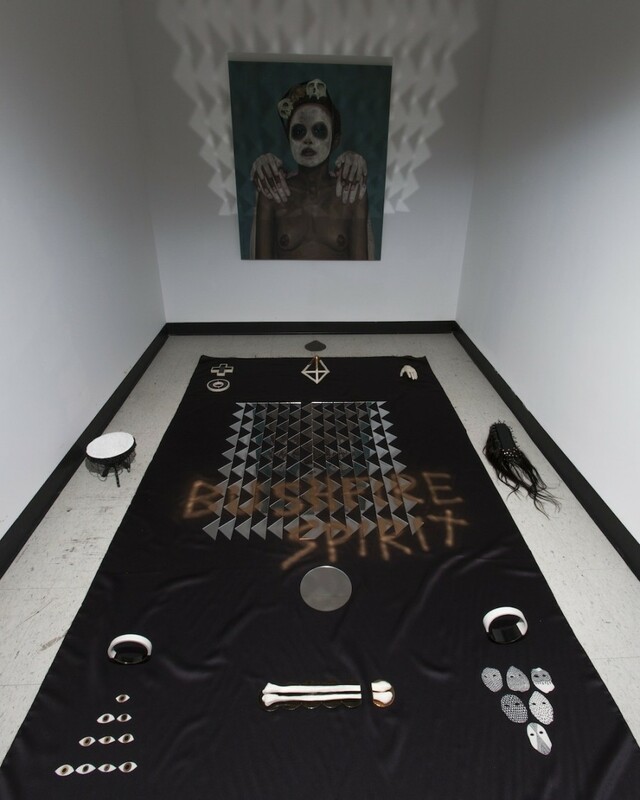 In a back region of the office, South African artist Richard Hart displays an eerie altar to black magic. Bones, hair, a tambourine and a model hand rest before a painting of a mysterious figure, part black and part white, part dead and part alive. It's not hard to think of Gateway's dark wonderland as a warped parallel of New York's art scene. We never thought we'd notice any sort of resemblance between a Newark office space and Lewis Carroll's tripped out rabbit hole, but we suspect The Gateway Project is full of these sorts of strange projections and realizations. 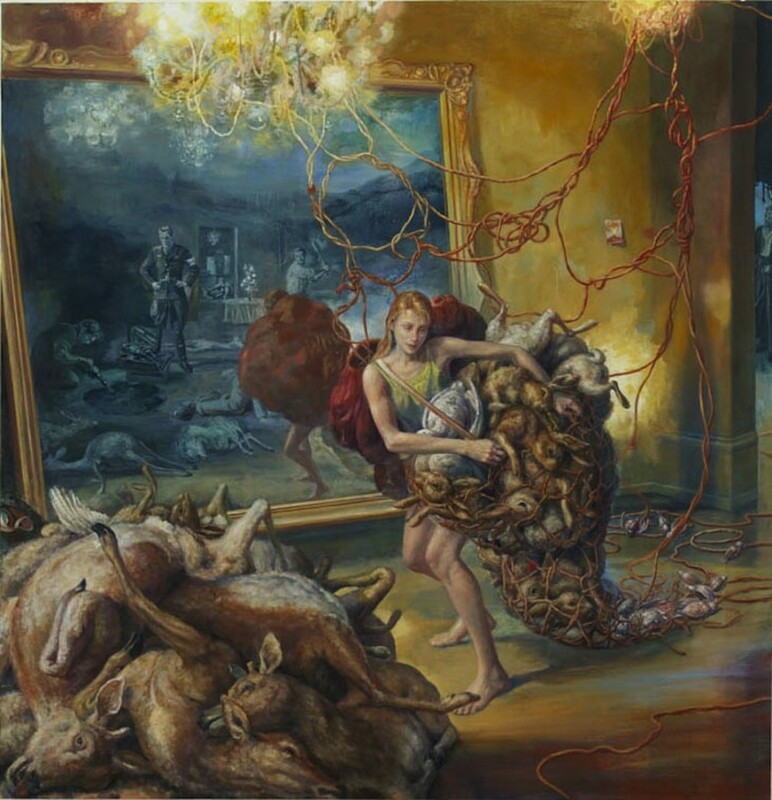 "Through the Looking Glass" runs until June 30 at Gateway Gallery in Newark, New Jersey.